Creative Modifications with Leanne – Part 2 of 2 | Audio and video stories from Southwest Washington. Beyond saving time, money, gasoline for spontaneous trips to the store the benefits of gaining a skill set and knowledge to creatively modify recipes are endless. Substituting ingredients allows you greater freedom to personalize a creation as you wish or need. If it is an exceptionally warm summer day and turning on the oven is unappealing then my no-bake Raw Mango Pecan Crumble crust is the perfect recipe which does not require heating up the home. At times certain ingredients may not be the most cost friendly in your budget and there are better priced, fresher alternatives in season. If a recipe calls for bread crumbs, for example, these are often sold in a tiny over-priced container with nothing nutrient rich about them. Using old-fashioned oats will meet the need beautifully in a more nutrient-rich, high fiber, delicious way and save you dollars in the end, too. Another example of creatively modifying more budget-friendly is shown in my Coconut Salmon Chowder. Besides being dairy intolerant, fresh clams were not as readily available to me or budget friendly. Whipping up my own version of a chowder using coconut milk and local Great Northwest wild salmon hit the spot wonderfully and has become a most favorite recipe to you all! The greatest reason above all to learning the skills behind creatively modifying a recipe is to healthify it into a leaner, cleaner, more nutrient-rich creation! Besides relationships, our health is our greatest asset. So why would we not consider making our food as delicious as it is preventative and nourishing? 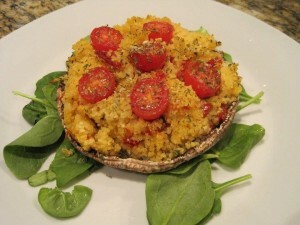 As most of you have discovered through my video recipes here on COUV.COM, health does not have to mean compromising taste. Remember, too, that our palate is a muscle that can be trained just like a bicep lifting weights. The bicep does not strengthen and change greatly overnight but it most definitely does grow over time with consistent baby steps. Our palate is just the same in that while drinking a green smoothie may not be your first breakfast idea coming to mind in the mornings now, this most powerful disease preventing and reversing beverage can become not only something you tolerate but prefer. Discover the new found joys, flavor, health, freedom, and savings in creatively modifying your own recipes today! 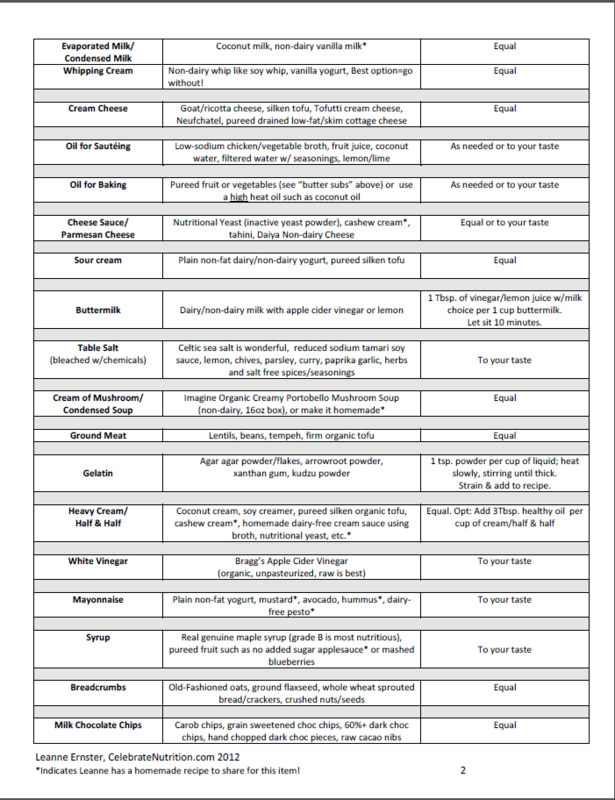 Below is part 2 of my creative modifications for you to print out as a resource for you to put into practice for years to come. Download PDF of modification list page 2.